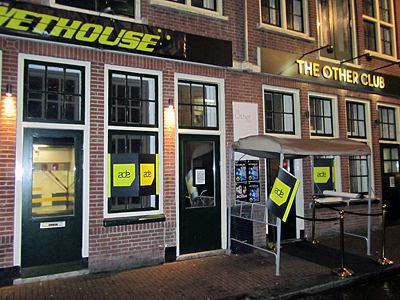 The ADE is the biggest festival for electronic Dance music in the world, in which also various venues in Reguliersdwarsstraat are participating. 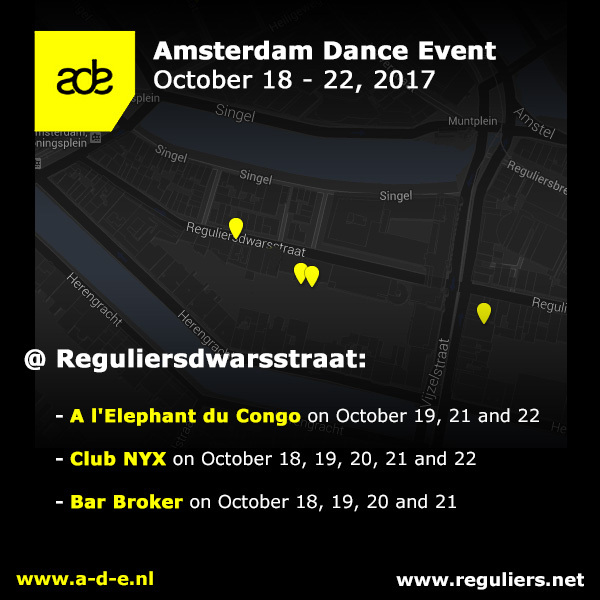 During the Amsterdam Dance Event (ADE) there are performances of over 2500 famous and upcoming DJ's from all over the world at around 140 places all around the Amsterdam city center! This year, up to 400.000 visitors are expected. 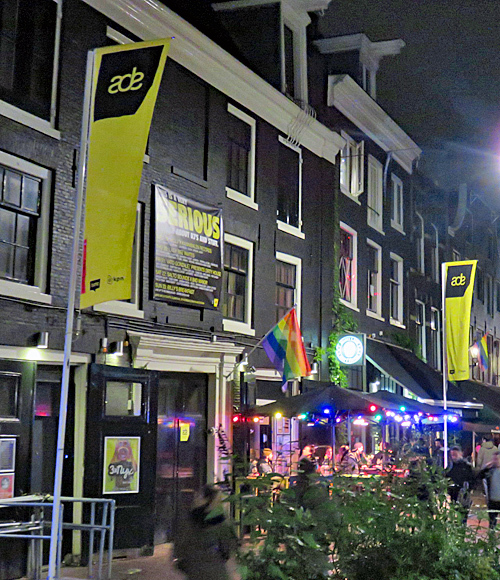 For all performances and events elsewhere in the city, check the official ADE website. During the Amsterdam Dance Event, clubs are allowed to stay open until 8.00 hrs in the morning without a special permit. This allows places to close at different hours, so visitors won't crowd the streets at the same time. Check the various event descriptions for which venues in Reguliersdwarsstraat will make use of this option.